Hey - Before any of you parents get mad....April Fools! The Booby is a sea bird which have the ability to dive and pursue their prey underwater. Known for their tameness, the Booby is easily captured eaten by hungry sailors (Back when they did such a thing). Because of this the name is thought to have been derived from the Spanish term 'bobo' meaning 'stupid'. 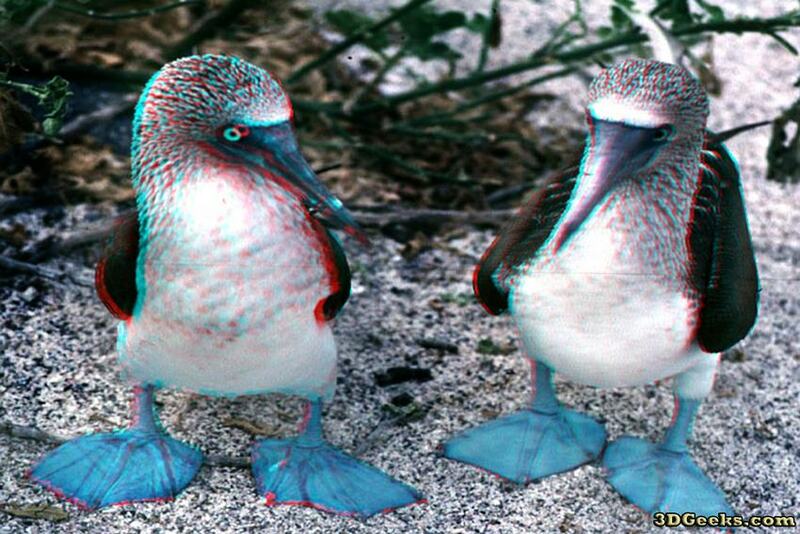 We found this photo on an old hard drive and thought it would make a nice anaglyph 3D Edition. If any knows where to give photo credit to - please drop us a note. You need red/blue 3D glasses to view this image. If you don't have any, you can buy them here for just $.99! hahahahaha, you totally got me! 3D Picture of the Day: What is it?